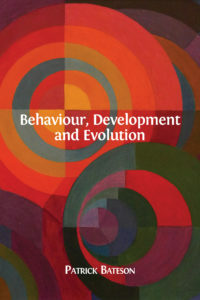 Q: What would you say is the central concern of Behaviour, Development and Evolution? Q: Why do you think the nature/nurture dichotomy is misleading, and why has it gained such popularity? A: It is a false dichotomy. Nature refers to the end products of development and nurture to how they got there. “Innateness” and “robustness of development’ immediately raise issues of what is not innate and what is not robust. Specific ways in which plasticity occurs depend on robust rules and plasticity may produce robust outcomes. I believe that the popularity of the old dichotomies is fading but may be retained because they are deeply rooted in folk biology and provide a spurious sense of understanding. Q: What made you want to publish Behaviour, Development and Evolution in Open Access? A: I very much liked the book by my son-in-law, Daniel Nettle (Tyneside Neighbourhoods). He spoke very highly of Open Books. I shall do the same.